A quaint Christmas flower arrangement that will impress any lucky recipient. Our team of expert florists has selected gorgeous roses, alstroemeria, hypericum, carnations, and feeling green blossoms to fill this country jug. 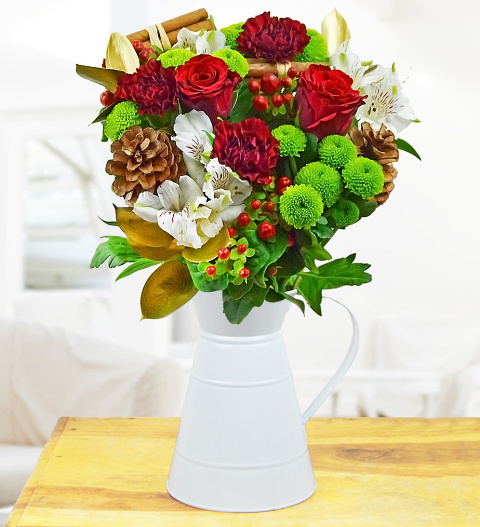 We have also added cinnamon sticks, gold ruscus, and pinecones for an even more festive look.